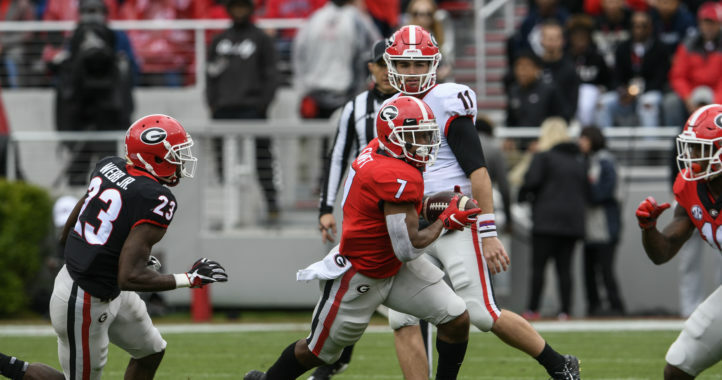 This is why Trent Thompson came to Georgia, to play in games like this on Saturday afternoon. First reported by the Albany Herald, the nation’s top-ranked defensive player in the 2015 signing class is scheduled to make his first career start against the Crimson Tide according to a text received by his high school coach Octavia Jones. Thompson has seven tackles in four games and has impressed defensive coordinator Jeremy Pruitt as the season’s progressed. His 6-foot-4, 300-pound frame will be vital in the middle against an Alabama running game fueled by Derrick Henry. Albany native here, get it Trent!!! Wow! Didn’t see that coming just yet. Excited for him though! GATA Trent! WOW! Out of nowhere, good for him. firstly, this is based on an alleged text message? Not gonna hold my breath for that one. Secondly, is it really a great idea to give a true freshman his first career start in the biggest game of the year? I’m game for whatever gives us the best DT play though, go Dawgs! 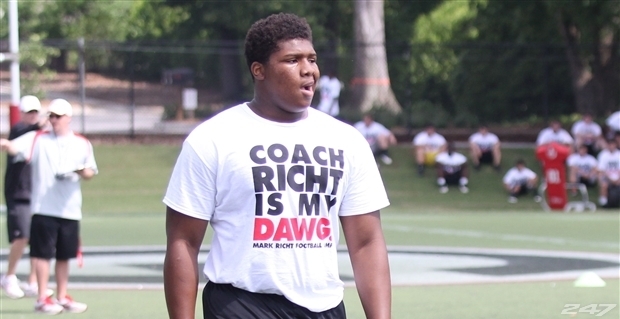 …Chubb got his first start against Mizzou. Did you really just compare Mizzou to Alabama? Doubt TexDAWG was comparing the two. MIzzou was no Alabama last year but they certainly weren’t some push-over either. I’m so tired of people jumping to conclusions and not seeing the big picture. Mizzou went to the SECCG last year over us, and with the exception of our game, were a pretty damn good team. 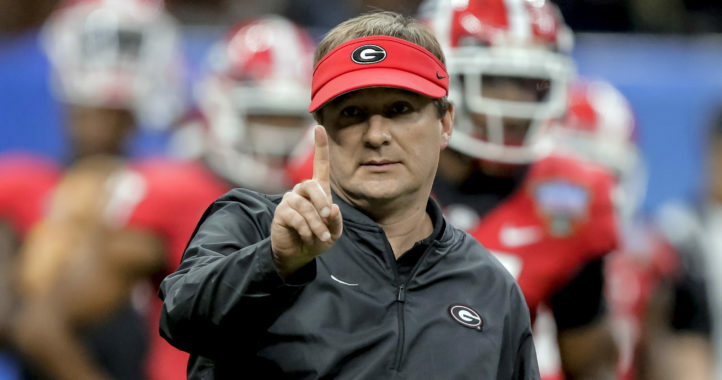 So while I made absolutely no comparison, it stands to reason, that giving someone a shot in ANY game as a freshman is fine if our ultra-experienced defensive coordinator believes they are ready. Doesn’t surprise me…….Trent Thompson is a difference maker and it makes me feel a lot better about the DL. I don’t think that he is comparing Mizzou to Bama, but the situation is similar to when Chubb replaced Gurley last year in what at the time was a must win for UGA. Whoever they put out there, I have faith in Coach Pruitt to make the right decision for the team and if Rocker said that he is ready, then he probably is. Also, it doesn’t hurt to have 320lbs out there stuffing the middle- not taking anything away from the guys that have been starting there this season, but he is about 30-40lbs heavier and has shown some explosion off the ball. I know it was against Vandy and Southern, but the limited action I’ve seen him in he looked impressive. I imagine if he’s getting the start he’s probably had a good week of practice going up against our o-line…just my guess. And I’m like you, his size can be a beneficial factor on Saturday. I think size is beyond beneficial this Saturday. Even if he doesn’t get ONE tackle if he can take up two blocks and let Ganus and the other inside linebackers attack the gaps, it’ll let floyd and crew and the db’s hit the edges to limit drake. The key is inside the tackles and a big body is GREAT. Thank you for using your brain d_. when you are ready, you are ready. This kid is built for games like this. We just got a little bigger on the D line. Where you guys been for the last year. HE IS THE MAN. Did anybody see the last play of the SC game. Watch that then also look on you tube what he did in high school. He will be a monster!!! !